Ian decided to have a quiet evening at home for Christmas. He wanted to light the fireplace, make popcorn balls and drink Hot Toddys to stay warm. Ian burnt the popcorn which set off the smoke alarm and then overindulged and passed out underneath the Christmas tree. He had a wonderful evening nevertheless. 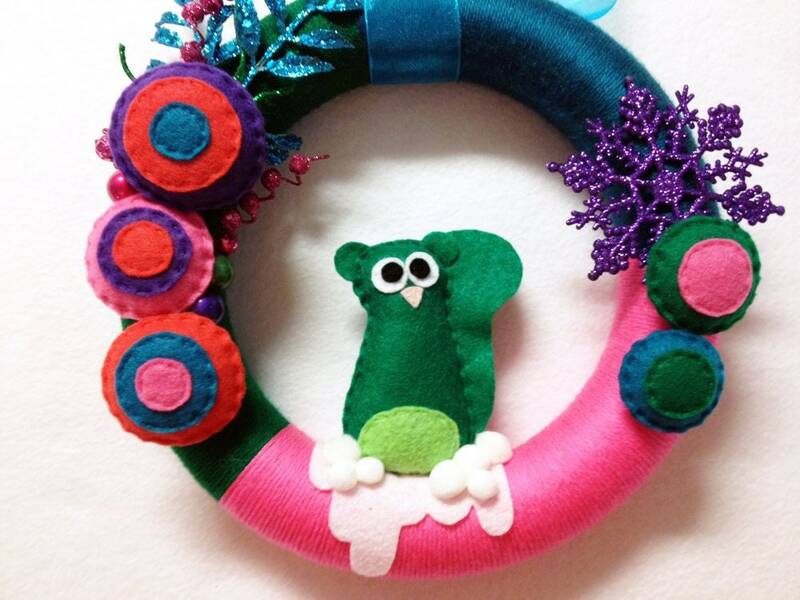 The Jewel of the Night wreath has a 10" diameter base. 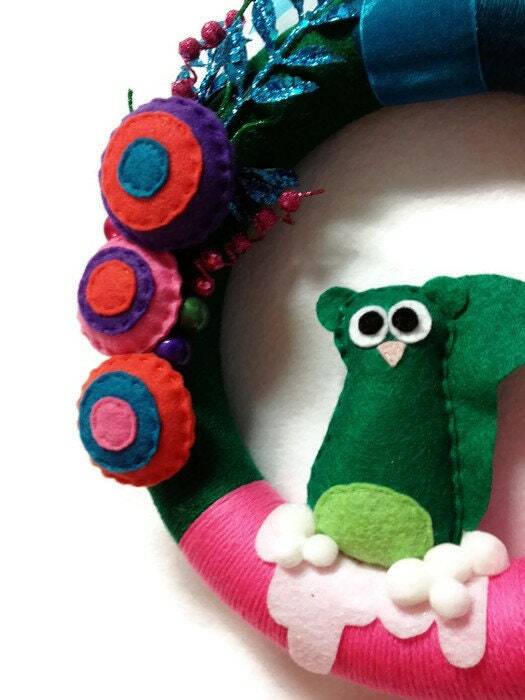 It is covered in teal, pink, and green yarn. Included in the decorations are white pom poms, hand stitched layered felt dots, plastic snowflakes, and baubles. It hangs from a tied translucent ribbon. Ian is nestled within the white pom pom snow and is entirely hand stitched. 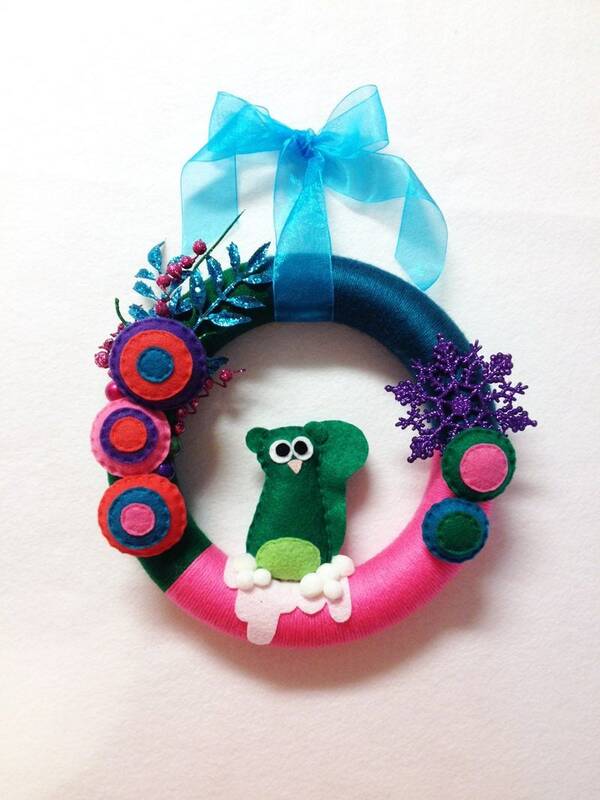 He is made from christmas green felt. He is stuffed until festively plump with polyfil and stands nearly 4" tall.